16in Heavy Duty Backhoe Bucket features durable construction with AR400 steel cutting edge and beveled AR400 steel side cutters. Design offers abrasion resistant double bottom and full curve side wear pads. Optional 4-bolt side cutters and extra pins are available. CAT-style teeth standard, Hensley or Esco available for nominal fee. 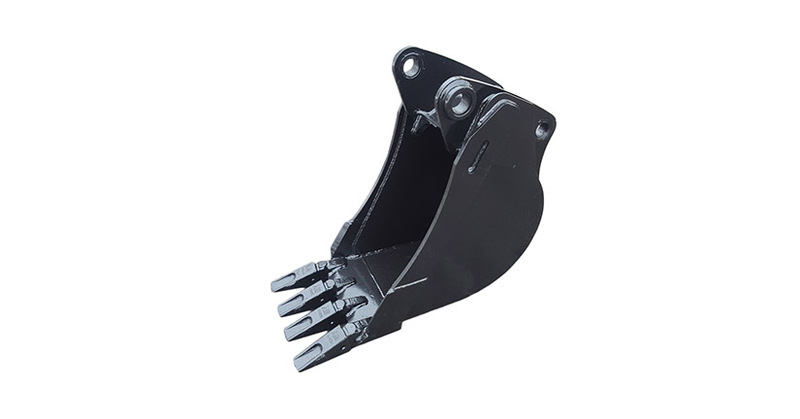 High quality 16in Heavy Duty Backhoe Bucket at factory direct pricing. View our additional backhoe attachments to help tackle any job.